Hugh Hefner (84) is officially engaged to Crystal Harris (24). The news came out on Twitter of course, where else would we get such exciting, breaking news, right? 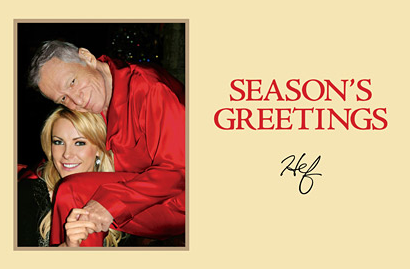 Crystal is going to be Hef’s third wife. He’s got two kids ages 58 and 55 from his first marriage. Then two more kids ages 9 amd 10 from his second marriage. That divorce was finalized last year. I’m not one to call out an age difference…. but this one is a bit much. Seriously. 60 years is too much. Gross. Boning someone your grandfather’s age is just wrong.